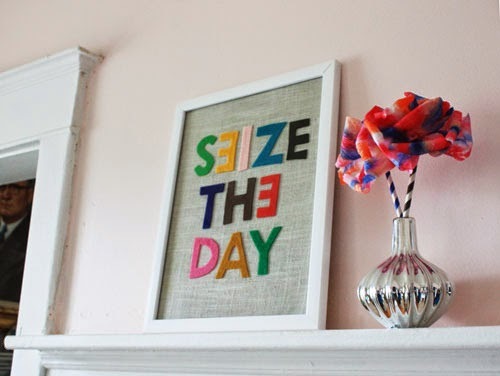 Inspirational words and phrases are a popular home accessory. They serve as a reminder, a mantra, or even a personal anthem. What's your favorite line from your favorite song? Think about that. I'll bet it would make a great art piece! 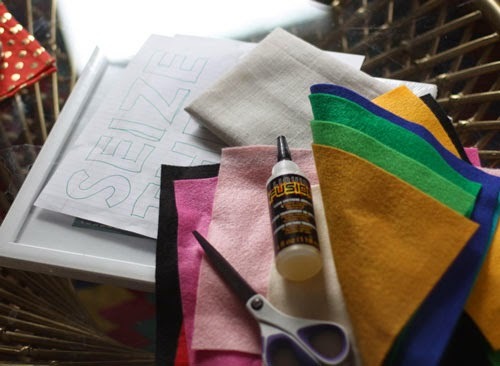 Back in the day, it was popular to needlepoint a favorite quote or expression onto a pillow or embroidery hoop. 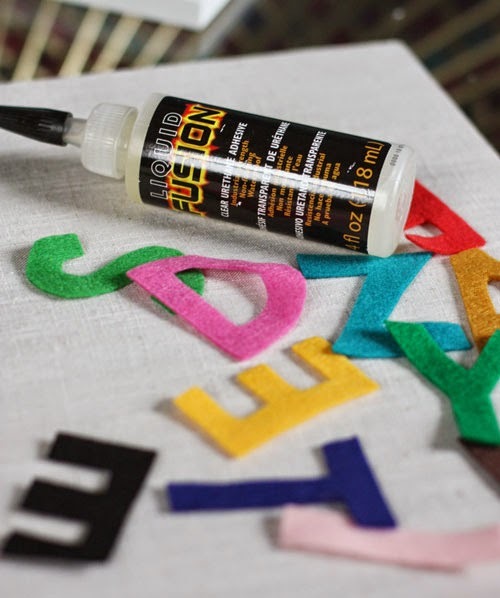 These days, thanks to easy-to-cut felt and Liquid Fusion adhesive, the process is much quicker. Let's get started! 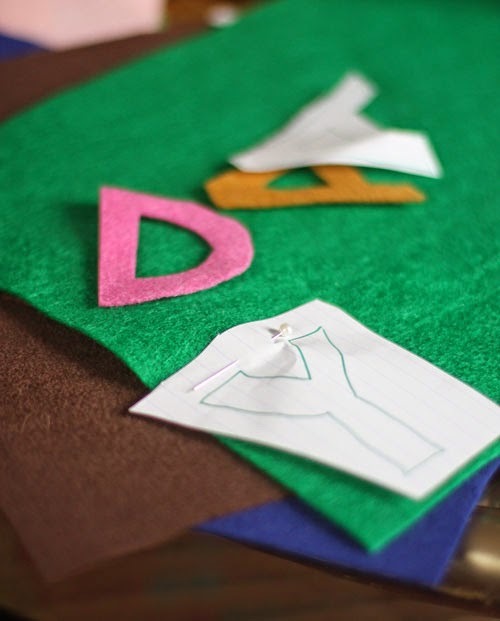 After selecting your favorite quotation or expression, write the letters on paper (if you handwriting isn't the best, it's easy to print or trace letters directly from your computer in your favorite font), then use it as a template to cut each letter out of felt. Arrange the letters as you like. Tip for even distribution: Find the middle letter of the middle word on the middle line, place it in the center, then work outward from there. 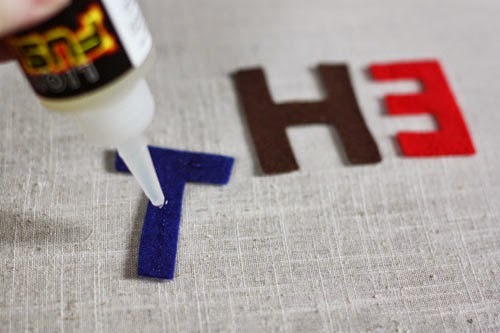 Use a small thread of liquid fusion on the back of each letter. Sometimes it's fun to allow a single letter to lay crooked, backwards, or out of line. Here I left a couple of the Es backwards as a sort of symbolic reminder: seize the day, imperfections and all. 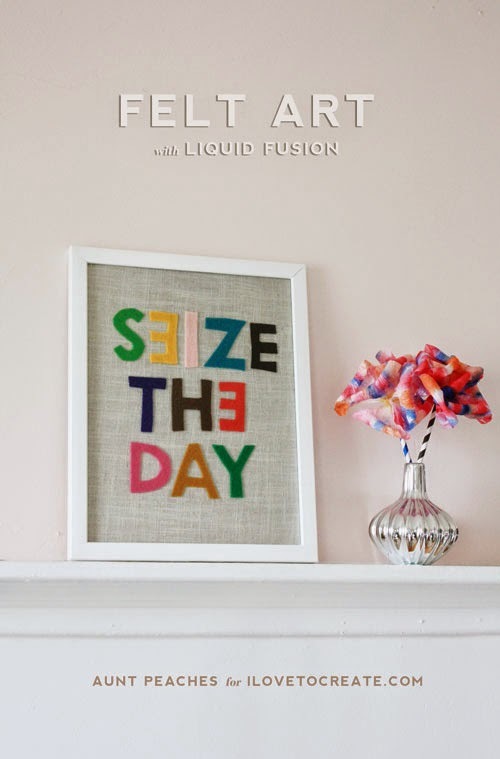 When you are happy with how it looks and everything is dry, set it up in a frame, hang in your home...arise and seize the day!